This is another t-shirt design that promotes people with disabilities. In this one I am trying to suggest that people should show more love towards the community of disabled people: better social and work force integration, and in sexual or romantic relationships. 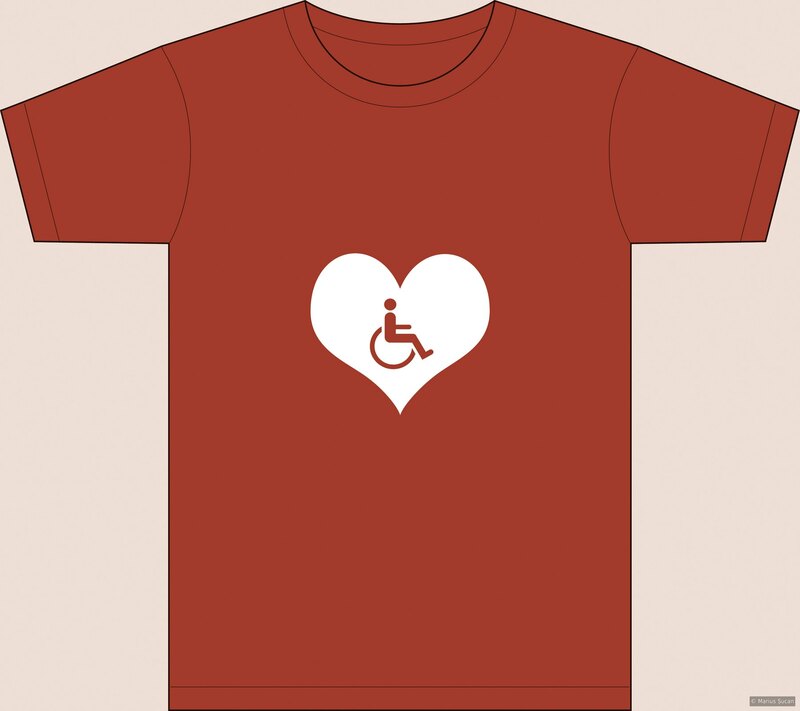 Tags: 2013, 2d, design, disability, love, positive, red, t-shirts, wheelchair.